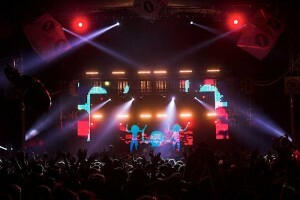 UK - Colour Sound Experiment supplied lighting to Festival Republic for several stages at the 2014 Reading and Leeds festivals - Lock Up, Dance, BBC Introducing, Silent Disco 1 & 2, Piccadilly Party, the Action Aid and Oxfam tents plus all of EBCs Bars – plus LED screen for the Dance arena. 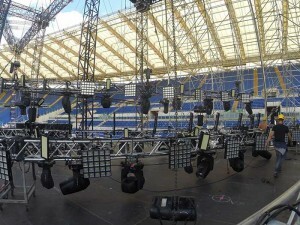 Furthermore, 2.5km of LED festoon lighting was used to enhance the ambience around the main arena. 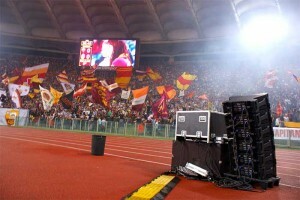 Italy - As part of a deal signed with Rome’s AS Roma soccer club, with which top Italian FM broadcaster Radio Italia became official partner of the club (it also has similar agreements with Inter, Milan and Italy’s national soccer team), the radio station recently took delivery of 72 Outline Mantas speaker systems by Italian manufacturer Outline, to be used for pre-match entertainment at the clubs home pitch, the Eternal City’s Olimpico stadium. Hong Kong - Internationally acclaimed artist Ivan Rutherford turned to DPA's d:facto Vocal Microphone to help him give a truly emotional performance during a recent one-off show in Hong Kong. UK - London's stunning Wilton's Music Hall welcomed brother and sister folk-pop duo Angus and Julia Stone for a pair of sold out shows, featuring LD Toby Hoggarth controlling lights from an Avolites Titan Mobile and Fader Wing. 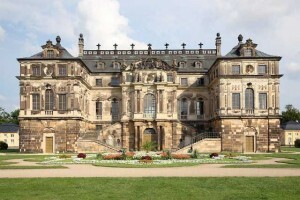 Germany – At the beginning of August 2014, the La Folia Baroque Orchestra made recordings on several days in the historic setting of the Palais in Dresden‘s Great Garden. Experienced recording professionals used carefully selected audio technology components to capture all of the sound nuances at the highest quality level. Microphones from audio specialist Sennheiser played a decisive role as the first links in the recording chain. 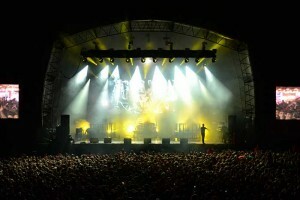 UK - XL Video renewed its highly productive long term working relationship with Massive Attack, supplying LED screens and d3 media servers for the band’s recent festival tour which featured a video concept co-designed by UVA and Icarus Wilson-Wright in conjunction with the band’s 3D (Robert Del Naja). 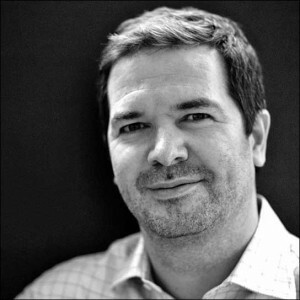 UK - After a relatively short yet successful stint in the IT industry, Chris Wright brings a host of transferrable skills with him back to professional audio – which he describes as his "…primary focus and passion." 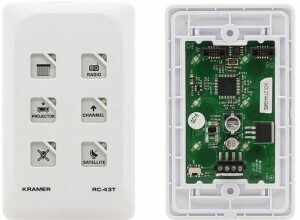 Israel - Audio, video and computer signal processing specialists, Kramer Electronics has introduced the RC-43T, a 6?button auxiliary control panel that works as a remote control panel for master room controllers such as the Kramer SL?1 in classrooms, meeting rooms, boardrooms or auditoriums. Germany - Adel Salah Mahmoud Eid El-Tawil, or Adel Tawil for short, is a successful musician, songwriter and producer. 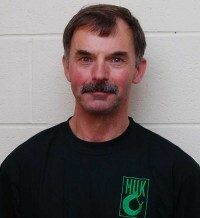 He became famous thanks to his work with bands such as The Boyz and Ich + Ich. In 2013 he shot straight to number two in the German Singles Chart with "Lieder". 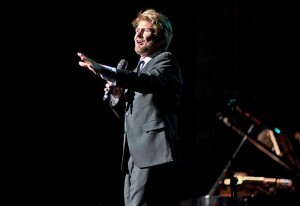 The same year, he also earned a nomination for the "(national) new artist of the year" award. 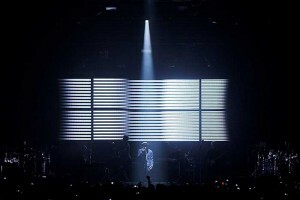 For his current tour, Bertil Mark (art director), JoJo Tilmann (image director) and Justus Molthan (lighting director), who together form LesUrbanProgressives, relied on 25 Clay Paky Sharpy Beams and 16 Sharpy Washes, two full size grandMA2 consoles, one grandMA2 light, two grandMA2 fader wings and four Network Processing Units (NPUs), all made by MA Lighting. USA - San Antonio’s new Tobin Center for the Performing Arts will open in September with a complement of Clay Paky Alpha Spot QWO 800 fixtures dedicated to both the H-E-B Performance Hall and the Carlos Alvarez Studio Theater. 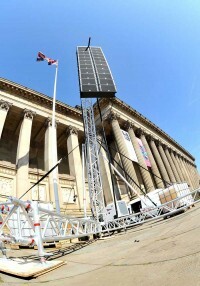 UK - The organisers of Sundown Festival have appointed Hawthorn to support the technical production at the event. 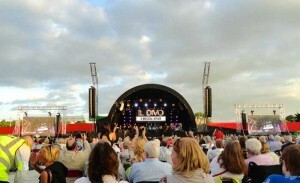 The festival is taking place at Norfolk Showground this week from Friday 29 – Sunday 31 August. 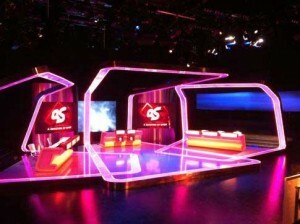 UK - Britain’s longest continuously-running game show, Question of Sport, is back for another series. Remarkably it was aired for the first time in 1968 and is still considered prime time TV! Having run almost uninterrupted since 1970 they have filmed over 1000 episodes. UK - Pearce Hire has announced its first time sponsorship of the 2014 Technical Theatre Awards. The Technical Theatre Awards were launched in 2013 as a way of formally recognising the outstanding achievements and dedication of the backstage ‘unsung heroes’ of the technical theatre industry. 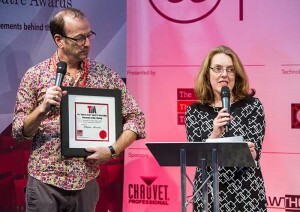 The awards are presented annually at the PLASA London exhibition at ExCel each October. The nominees are shortlisted from individuals elected by their industry peers at the beginning of the year, and then voting conducted between June and September decides the final recipient of each award. Germany - As one of Europe’s most important institutes of higher education, as well as one of the world's leading research-based universities, the University of Bonn holds “Bonner Wissenschaftsnacht” or “Science Night Bonn” biennially in cooperation with the City of Bonn. 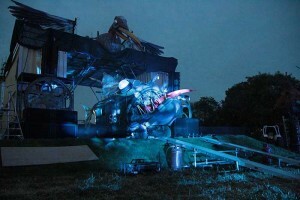 The goal of the special science-themed evening, held this year in late May, is to give the scientific institutions of Bonn as well as the University the chance to present themselves while highlighting their research and teaching. 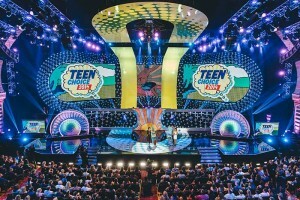 USA - Over 100 Robe moving lights made a serious impact as part of Tom Kenny’s lighting design for the 2014 Teen Choice Awards (TCA). The show, produced by Bob Bain, Greg Sils and Paul Flattery was staged at the Shrine Auditorium, adjacent to the University of Southern California campus in Los Angeles, California. USA - New Features for this Hog 4 OS release include Custom Preview Names and Images - users can now define custom names and images for previews in the media picker. 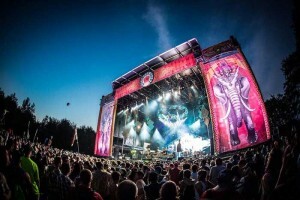 Canada – Creating new and breath taking lighting designs, enjoyed by audiences of hundreds of thousands attending the world’s biggest and best dance events including Sensation, Tomorrowland and Tomorrowworld is by no means a small challenge for any lighting design company. USA - DPA Inc., the US branch of DPA Microphones, has announced the appointment of Christopher Spahr, Pedro Rocha and Leonardo Romero as area sales managers for the Eastern US, Western US and Southern US/Latin America, respectively. The company has also promoted Shan Siebert to general manager of the Longmont, Colorado-based office. After a year of unprecedented growth for the US operations, these latest assignments signify the company’s continued commitment to its customers in the region. The first product to prove the Open Control Architecture (OCA) in the field, the D80 amplifier from d&b audiotechnik, was already at launch in January an innovative product with many features and benefits making it immediately attractive to the d&b user community. Why the addition of OCA? "You might call this parallel evolution," explained Marc Weber, the driving force in product management behind the development of the D80 at d&b. 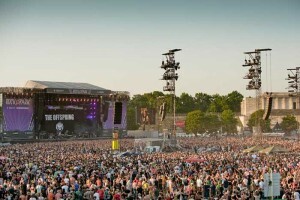 Germany - The Rock im Park and Rock am Ring festivals are the most popular music festivals in Germany, attracting an audience of 150,000. The two festivals are held simultaneously in Nürburg and Nuremberg, in the west and south of Germany. 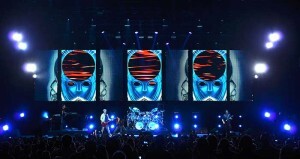 The events each boast an almost identical artist line-up, with headliners this year including Metallica, Linkin Park, Iron Maiden, and Kings of Leon. USA - Every year, professional and aspiring classical musicians and technical personnel from around the world head to the mountains of Colorado for an eight-week summer intensive retreat at the Aspen Music Festival and School. 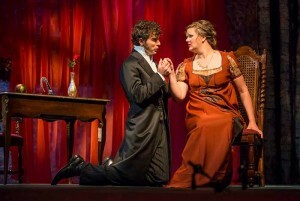 As the country’s premier classical music program, the festival presents more than 300 performances and music education events, including the Aspen Opera Theater Center (AOTC) programme at the historic Wheeler Opera House, where DPA Microphones had its chance to shine. 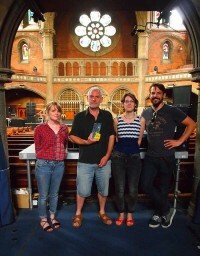 As you may have noticed, Green Hippo has recently been talking about several of our interns and their experiences. To add to this, we have two new interns who recently started to work with us for the forthcoming year. 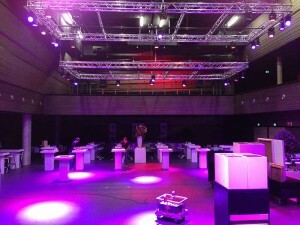 The Netherlands - The Theater Markant in Uden, Noord-Brabant, the Netherlands is a busy producing and receiving theatre run by the city, which also has an integral but independently run event space that is equally active … and has recently been refurbished. 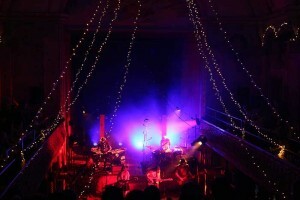 This has included a full technical upgrade - for which the lighting elements were supplied by Controllux. 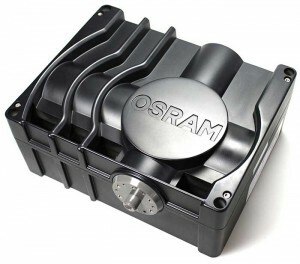 Osram wins the internationally renowned "R&D 100 Award"
Germany - Osram has been announced as one of the winners of this year’s "R&D 100 Awards" for the development of the first LED/laser-based white light module. With the Itos Phaser 3000, developers at the lighting manufacturers have succeeded in producing a highly compact yet exceptionally powerful light module primarily for industrial and production facilities but also for microscopic and endoscopic applications. The module has an output comparable to that of a 300 W xenon lamps but has a lifespan of 30,000 hours. In other words, it will last up to 60 times as long. 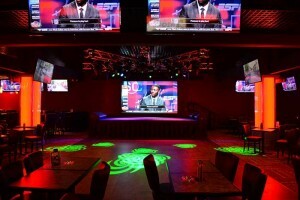 USA - Quil Ceda Creek Casino, located on the Tulalip Indian Reservation north of Seattle, had one overriding requirement for Agility AVL for the lighting and video package in their new Qzone entertainment venue – make it high tech. And that they did, installing a state-of-the-art Elation Professional EZ4 LED video screen along with Elation Platinum Spot LED II moving heads and EPAR Series LED fixtures. Canada - Parasol Advanced Systems is an award-winning technology company based out of Vancouver, B.C. whose products are taking the lighting and entertainment world by storm. Parasol Systems has developed intelligent, self-propelling, and wirelessly controlled vehicles that travel along pre-determined guide ways. Basically, the Parasol Systems technology moves already moving lights. 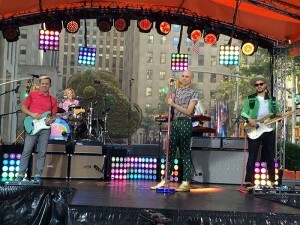 USA – It was an unseasonably cold mid-August morning, but the thousands gathered at Rockefeller Plaza in New York didn’t seem to mind, as the red hot Today Show Toyota Summer Concert Series rolled on through its fourth month with a dynamic performance by Platinum recording artist Neon Trees. 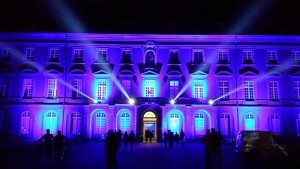 Included in the crowd were Berenice and Albert Chauvet, the co-owners of Chauvet Professional. The Chauvets were on hand not only to enjoy the music, but also to take in the performance of the Nexus 4x4, their company’s COB LED panels, which have been in the forefront of LD Peter Greenbaum’s lighting design for the popular early morning TV concert series. 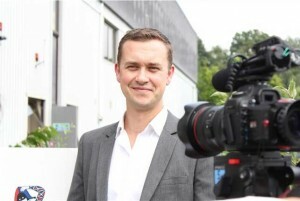 Belgium - Belgian celebrity and TV host Marcel Vanthilt took his popular summer ‘pop-up’ magazine show concept to two cities this year – Roeselare and Knokke-Heist - both of which staged Hotel M for a number of weeks throughout the summer. 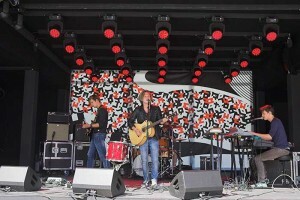 Russia - A major street festival in the northwestern Russian city of Petrozavodsk attracted some 10,000 people to its main stage last month, with lighting controlled by an ETC Cobalt 20 desk. 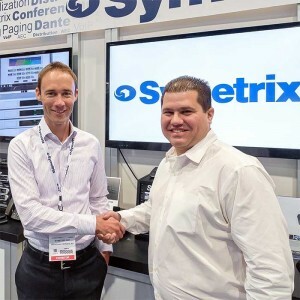 USA – Symetrix has announced that it has appointed PRO AVLS to serve as sales representative for Latin America and the Caribbean. 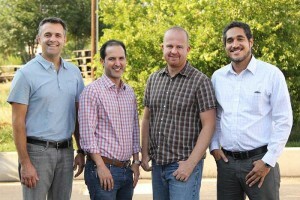 Based in San Juan, Puerto Rico, and with an office in Margarita Island, Venezuela, PRO AVLS will use its expertise spanning more than 20 years to spearhead sales for products including Jupiter, the line of fixed-architecture standalone DSPs, and SymNet, the range of open-architecture Dante scalable DSPs. Australia - Harlequin Floors have confirmed they will be supporting the Australian Dance Awards as partners for a third successive year alongside Ausdance NSW and Sydney Opera House. USA - As Major League Baseball pennant races hit a feverish pitch during these dogs days of summer, many teams are adding value to ticket prices with post-game stadium concerts by an eclectic group of all-star talent ranging from country's Martina McBride to rap's 50 Cent. Brunei - Harlequin Floors has recently completed the installation of a sprung dance floor at the Panaga Club in Brunei. 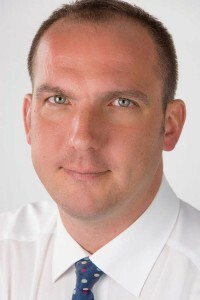 The Milos Group has welcomed Marc Hendriks (pictured) to their experienced team of professionals. 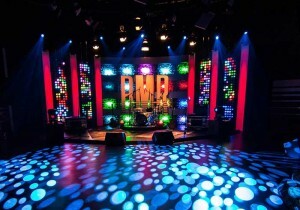 USA - American Spanish-language television network Telemundo’s latest music competition, "Buscando Mi Ritmo," is being lit by lighting designer Gaston Fazio of HD House, who speced an Elation Professional lighting package of Platinum Spot LED Pro moving heads and Cuepix Panel matrix blinders for the six-episode series. 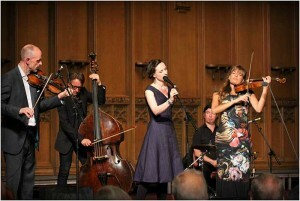 UK - Young Scottish-born violinist, Nicola Benedetti, is one of the UK’s rising stars. Currently enjoying a top 20 position in the UK pop charts - the first time a British violinist has scored a top 20 album since Vanessa Mae in 1995 and Nigel Kennedy in in 1989 - Benedetti is a sought-after performer. 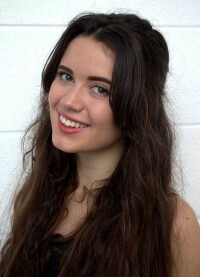 She recently played a sold-out concert at the Guildhall in London as part of the City of London’s "Curtain Raiser" programme for the Commonwealth Games. Audio production was supplied by Scottish audio specialists, The Warehouse who opted for a HALO Compact line array system from EM Acoustics. 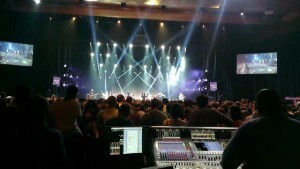 Montreux Jazz Festival takes place annually on the glorious setting of Lake Geneva. It has played host to the who's who of music since its inception, almost half-a-century ago, with acts as eclectic as Miles Davis and Marcus Miller, to Alicia Keys and, this year, Pharrell Williams, and they always come back for more! 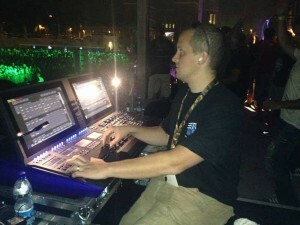 DiGiCo consoles a key component across the Festival’s audio system, with Pharrell also bringing in his own SD7. 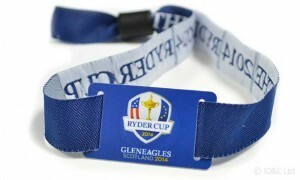 UK - Fans attending The 2014 Ryder Cup are set to enjoy one of the most technologically advanced golf events ever thanks to the use of Radio Frequency Identification (RFID) technology. Denmark - Today, virtually all music, film and post production is rooted in DAWs such as Pro Tools, Audition, Nuendo and Logic Pro or NLEs such as Final Cut Pro, Premiere Pro and Media Composer. As DAW components change in three year cycles, many professionals use System 6000 to ensure their most precious audio effects. Before, this was a challenge when managing projects; and typically involved MIDI or custom solutions to synchronize data. 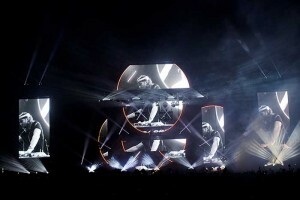 UK – David Guetta rocked the house in grand style for his headline slot in The Hangar on Friday night of the 2014 Global Gathering event – the UK’s most popular EDM festival – staged at Long Marston Airfield near Stratford-On-Avon, complete with a stunning new visual design created by LD Jonathan “Leggy” Armstrong and video director Ben Brett including over 100 Robe moving lights on the rig! 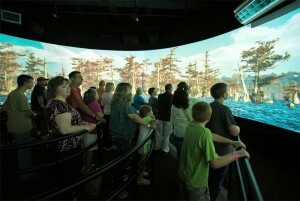 Discovery Park of America has opened in Union City, Tennessee, offering visitors a world-class entertainment and educational experience with more than 70,000-square feet of exhibits on nature, science, technology, history and art. Electrosonic provided audio-visual equipment for most of the ten exhibit galleries in the three-level space of the new Discovery Center. 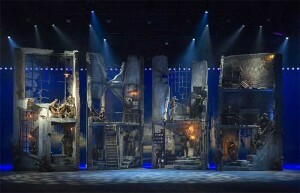 Belgium – Lighting and visual designer Luc Peumans says that the powerful yet discreet VL3500Q Spot luminaires were the "perfect choice to highlight the action on set" for his latest theatrical production 14-18 Spektakel Musical, which saw audiences immersed in the heroism and struggle of the First World War on an incredibly large scale. USA – Ray LaMontagne recently kicked off his North American tour with an Adamson Energia PA powered by Lab.gruppen PLM series amplifiers with Lake Processing. 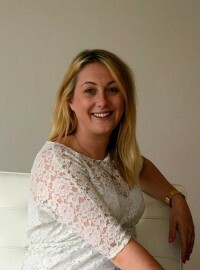 UK - Event production and design company, Light Motif, has appointed Kelly Yeomans (pictured) as business development manager. 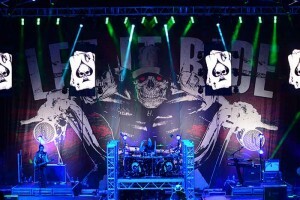 USA - Country rock artist Brantley Gilbert is touring with the new indoor/outdoor EPT9IP LED video panel from Elation Professional and uses the professional-grade screens for a variety of effects and looks as an integral part of the set design. USA – With nine studio albums, 26 singles on the Billboard charts, and five number one hits, Gary Allan is one of country music’s hottest stars on tour today. Mixing a blend of country and rock & roll, Allan delights himself in delivering a high-impact and exciting show. 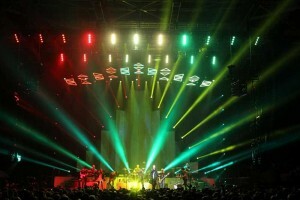 On the 2014 “Set You Free” tour, Allan and his design team are maintaining that same tradition with lighting designer Brandon Quisberg using Showline SL NITRO 510 luminaires from Philips Entertainment, provided by Elite Multimedia, to achieve a wide variety of powerful and dynamic looks. 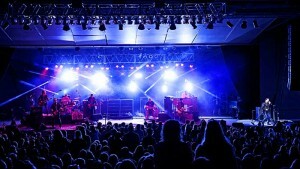 USA – Twenty-two Robe ROBIN Pointes enhance the set for country music star Chris Young’s US tour in support of award-winning country singer/songwriter Dierks Bentley. Lighting designer Rob Sinclair has turned to the fantastically bright beams of 40 VL3500 Wash FX luminaires, supplied by Upstaging, to hold their own amidst the vibrant and energetic onstage elements of the current Queen + Adam Lambert tour. 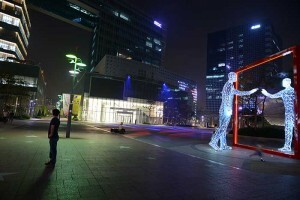 South Korea - Korean TV network broadcaster, MBC has moved into the new Digital Media City in the Sangam district of Seoul. 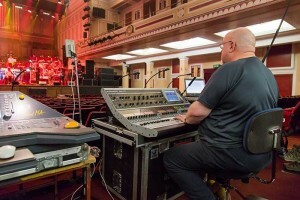 UK - An Allen & Heath iLive digital mixing system recently managed FOH on a tour marking the 40th anniversary of the release of Rick Wakeman’s landmark concept album, Journey To The Centre Of The Earth. 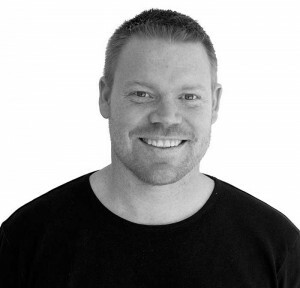 UK - POLARaudio, consistent with its recent internal restructuring, has promoted former business development manager John Kaukis (pictured) to the position of head of MI and consumer sales. The company recently re-aligned its operation into two distinct sectors - MI and Installation. Growth in the MI sector of the business, following the acquisition of new and prestigious brands such as Mackie and Ampeg, has been significant and Kaukis will oversee every aspect of a portfolio of top brands that already included the likes of Gallien Krueger and Beyerdynamic. 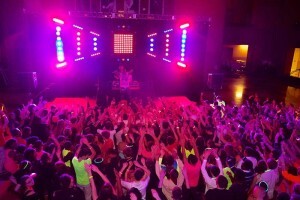 USA - In recent years the high school dance has been transformed from a DJ with a few blinky lights to a full blow concert experience and in the Chicago area much of the credit can be given to event production company BOOM Entertainment and their vast inventory of Elation lighting gear. BOOM’s “High School Invasion Tour” for example, now in its 14th season, turns Homecoming, Winter and Prom dances into a concert-grade atmosphere. 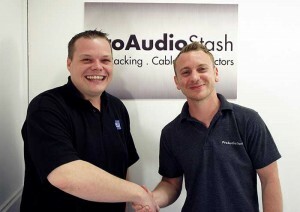 UK - POLARaudio, consistent with its recent internal restructuring, has promoted former business development manager Stuart Leader (pictured) to the position of head of installation. The company recently re-aligned its operation into two distinct sectors - MI and Installation. 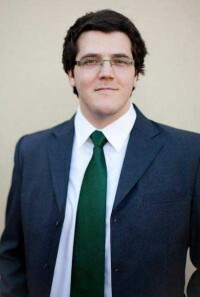 Stuart Leader has been at POLARaudio for two-and-a-half years and in heading up the Installation team brings to the table a wealth of experience gained from his time with Crestron and Sanyo, where he specialised in the corporate and higher education sectors. Optoma has announced that its latest-generation 1080p 3D Wireless HDMI system, the WHD200, is now available in the UK. 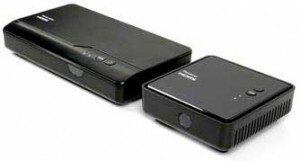 Designed to stream video content wirelessly to a projector or TV; the WHD200 is capable of streaming 1080p formats including 24, 50 and 60Hz up to 20 metres in any room. This allows movie fans, TV buffs and keen gamers to experience 1080p 2D and 3D image quality on a big screen, without having to run cables across a room. UK - ITV Daytime have commissioned a new quiz format ‘Gift Wrapped’ from 12 Yard Productions, presented by husband and wife team Eamonn Holmes and Ruth Langsford. Each day, Eamonn and Ruth will invite three engaged couples onto the show, where they will have the opportunity to win their very own wedding list, culminating with a top prize of a dream holiday. UK - The characteristic power and colour of Chauvet Professional’s lighting range let its presence be known across several music stages and live production areas at this year’s Glastonbury Festival. 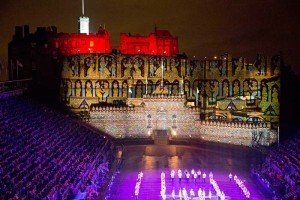 UK - Projection artist Ross Ashton and his company The Projection Studio are again making a massive impact at Edinburgh’s world famous Royal Edinburgh Military Tattoo, producing fabulous giant projections which are mapped onto the castle wall and running throughout the epic spectacle. 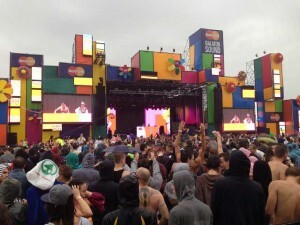 UK - Originating from the USA, Electric Daisy Carnival made its second trip to the UK this July, transforming Milton Keynes’s outdoor National Bowl into a 28 million pixel entertainment spectacle. 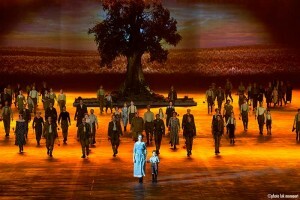 Belgium - Set during the First World War, 14-18 - The Musical is a very ambitious musical theatre production. With the 1900-strong audience sat on a moving bleacher within a vast set, an innovative audio design was key to its success. 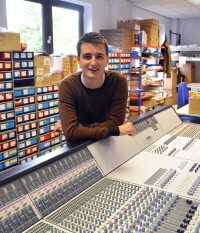 A DiGiCo SD5 digital mixing console was the logical choice for co sound designer Guido Olischlager. 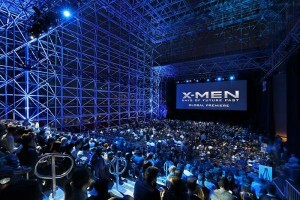 USA - For the launch of the summer blockbuster film X-Men: Days of Future Past, 20th Century Fox staged its worldwide premiere at the Jacob K. Javits Convention Center on midtown Manhattan’s west side, NY, USA. UK - The most iconic Ibiza club of them all – SPACE – celebrated its 25th anniversary with a massive birthday bash, centered on its outdoor Flight Club arena, on 13 July. 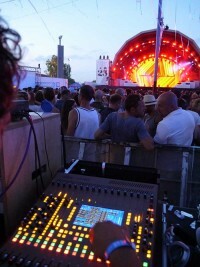 Regular Ibiza sound specialists, Project Audio, deployed one of the most sophisticated Funktion-One systems in the world, powered by Full Fat Audio amps with XTA processing, and all fronted by a CADAC CDC four digital compact console. The club’s earlier 2014 season ‘Opening Fiesta’ on 25th May, saw the Funktion-One rig fronted with a CADAC LIVE1 analogue console. 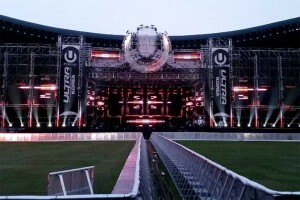 South Korea -- This year’s Ultra Music Festival (UMF) Korea took place in Seoul, South Korea with more than 100,000 EDM fans and music lovers in attendance. 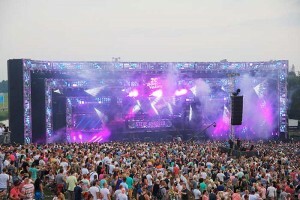 The event, which took place at the Olympic Stadium Sports Complex, featured heart-thumping beats produced by the world’s top DJs reinforced by Adamson Energia loudspeakers. 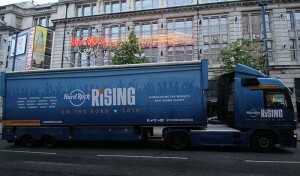 UK - Daytona Stage Hire beat national competition to win the contract to supply a mobile stage rig complete with sound, lighting and generators for the European Hard Rock Rising ‘On The Road’ Tour. 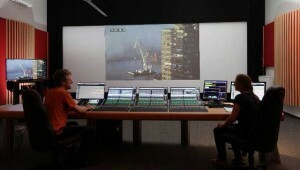 Germany - Founded in 1989 by recording engineer Hans-Joachim Kloock and sound engineer / Foley artist Arne Damman, Hamburg-based M&E Studios GmbH provides post-production services to all of the major German television production companies. 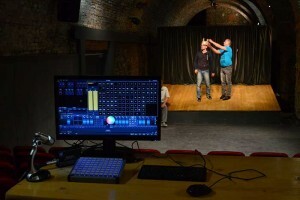 Long-term users of Steinberg Nuendo DAW software, the studio has recently invested in a Yamaha Nuage system, which has made a very positive difference to its workflow. 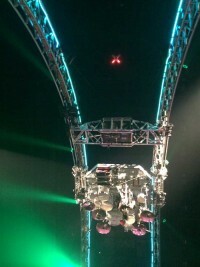 Heavy metal icons Mötley Crüe are out on what could be their final tour before retiring and drummer Tommy Lee is going out in style atop a custom-made “Crüecifly” drum coaster, aka the Tommy Coaster, lined with effects from Elation Flex LED Pixel Tape. UK - The busy summer of festivals has shown no signs of slowing down just yet, with Avolites and Avolites Media storming onto the scene for another fantastic weekend at Secret Garden Party 2014 with five stages controlled by Avolites, and Avolites Media featured on the main stage. The festival, held in Abbots Ripton, welcomed a huge and eclectic line up of acts including headliners Fat Freddy's Drop, Public Enemy and Little Dragon, to cement its position as one of the most hotly anticipated festivals of the year. Italy - From humble beginnings in a then almost unknown club in Ibiza in 1999, the Circo Loco super-club has quickly grown to become a global brand. Young – and young at heart – people flock to DC10 and other clubs on the island to dance to some of the best DJs in the world, under one of the world’s best club-lighting rigs. 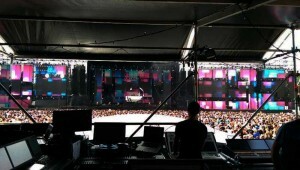 In July, Italian promoters Andrea and Antonio took the event back to their homeland, with an all-night event at the Stadio Dei Marmi arena in Rome, with lighting controlled by ETC’s new Cobalt desk. UK - Adlib was again right at the core of the action for four days of amazing public theatre that saw the return of the Royal De Luxe giant marionettes to the city for a weekend of fun, history, poignancy and superlative entertainment. The Netherlands - The fabulous Main Stage design at this year’s legendary Dutch EDM event DanceValley … was designed by 250K with lighting by Andre Beekmans from The Art of Light featuring nearly 230 Robe moving lights. Star Events Group and new parent company Altrad Beaver 84 have announced their Official Supplier status to AEG Live for the forthcoming Jaguar Land Rover Invictus Games Closing Concert at the Queen Elizabeth Olympic Park. Czech Republic - Dancefloor, s.r.o. 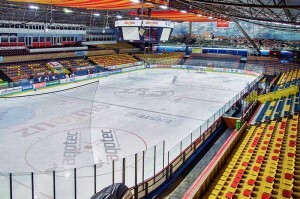 has recently completed the installation of Community loudspeaker based audio systems in two venues for the town of Znojmo, located in the South Moravian Region of the Czech Republic close to the Austrian border. USA - Beauty pageants require contestants to look their best for obvious reasons. 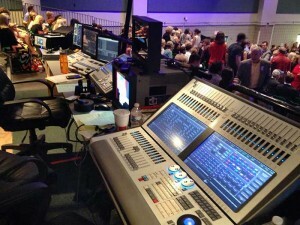 So it's no wonder that when it comes to lighting design for the annual "Miss Mississippi" event hosted in Vicksburg, André Huff - for the fifth year in a row - chose to rely on an Avolites platform of consoles and media servers to illuminate the state's loveliest young women. USA - Art Alexakis' Summerland Tour offers live music fans a raucous alternative to many summer tour outings, with three other seminal bands joining Everclear in a high energy concert. 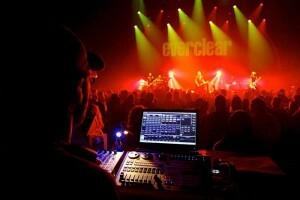 Everclear's lighting designer, Rick 'Shaggy' Ehmcke is also illuminating the Soul Asylum, Eve 6 and Spacehog sets during Summerland. 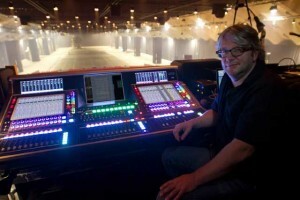 Shaggy chose the tour's Austin, Texas show at the Moody Theatre to demo High End Systems' revolutionary new Shapeshifter fixtures. Young Australian pop punk band, 5 Seconds of Summer (5SOS) have barely even “arrived” and yet they are already sampling the dizzy heights of international stardom. 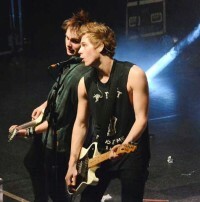 Their first single, “She Looks So Perfect”, was an instant number-one hit in the iTunes UK charts (and those of 46 other countries) on pre-orders alone before anyone had heard a note. Their self-titled debut album, which only came out at the end of June, has already reached number one in eight different countries worldwide including the USA, and number two pretty much everywhere else. The band is currently supporting One Direction on their worldwide “Where We Are” stadium tour and has just announced a monster headline USA, UK and European arena tour for 2015. The band is using a comprehensive range of Sennheiser wireless and hardwired microphone and wireless monitor systems specified by FoH engineer John Delf and Ben Booker who handles monitors. 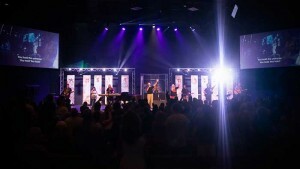 USA - The 800-seat Tomoka Christian Church in Florida, recently carried out a major technical upgrade to its new sanctuary, which included eight of GLP’s new Volks|Licht Spots and six impression X4 moving heads — supplied by distributors, AC Lighting. UK - Two important sessions have been announced for this year’s PLASA Rigging Conference, adding further weight to the event’s standing within the rigging community. The new one-day format will host a discussion from Michael Anderson about the revised CDM Regulations and an update on the International Code of Practice for Entertainment Rigging (ICoPER) led by Lori Rubinstein. 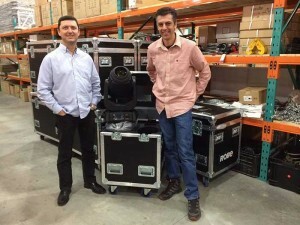 South Africa - Cape Town based rental and technical production company, Ultra Events has completed its first purchase of Robe ROBIN Pointe moving lights – with a delivery of 12 units from Robe’s South African distributor DWR Distribution, to be followed by another 12. 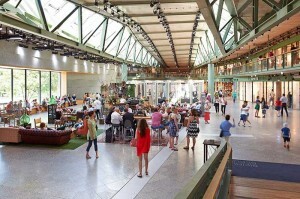 Germany - Not to be mistaken for a swimwear company, Bikini Berlin is a culturally protected Grade II listed building in the German capital, whose recent revitalization included the installation of over 1000 energy-efficient LED luminaires from Elation Professional. UK - Rose Bruford College of Theatre and Performance has scored 90% in overall Student Satisfaction, the highest score among all UK drama schools taking part in the annual National Student Survey. The Sidcup based College, which delivers a range of theatre related technical degree programmes, scored high in all categories including an exceptional 91% in teaching. 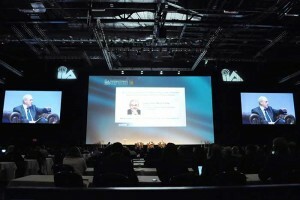 UK - XL Video, working with US conference and event production agency metroConnections, supplied a large-scale audio-visual solution for the IIA (Institute of Internal Auditors) International Conference at London’s ExCel Centre. The event, which comprised a 1500 delegate main auditorium and 9 breakout rooms in Excel’s Capital Room, took place over three days in early July. UK - Hire company Point Source Productions and event production company Light Motif have entered into an exciting new partnership to service the events industry. USA - “Take Me Downtown” is Lady Antebellum’s third headlining tour, taking the Grammy Award-winning trio across North America and into a wide range of venues, including casinos, civic centers and amphitheaters, both indoors and outside. 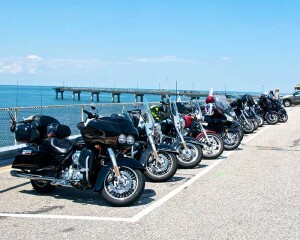 It began in January in Peoria, Illinois and ran nearly nonstop through June, when the band began its summer state fair itinerary. 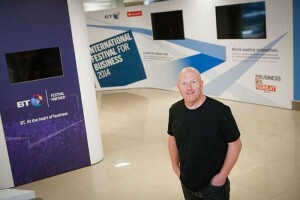 UK - Adlib supplied technical solutions, system design and infrastructure, plus audio, lighting, AV and equipment for the 2014 International Festival for Business (IFB). UK – For a chance to see the latest innovative luminaires from High End Systems, visit the New Alexandra Theatre in Central Birmingham on August 22 when a selection of luminaires are being used by lighting designer Colin Wood on the production of ‘Footloose; The Musical’. USA - Cardinal O’Hara, a Catholic High School in Springfield, PA, is known for the excellence of its sports, music and academic programs. 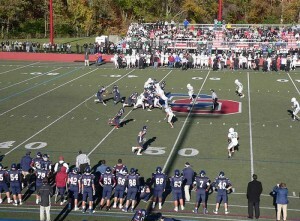 As the only Philadelphia Catholic League school with a home football stadium on school premises, Cardinal O’Hara’s Lions Stadium has large home and visitors bleachers, an enclosed press box, an artificial turf field and a modern track. 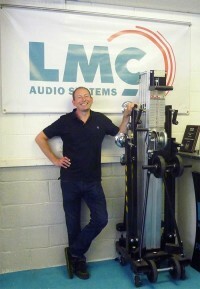 UK - Birmingham’s Sean Hames is back with the team at LMC Audio. 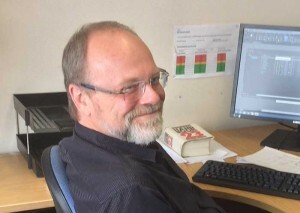 Working out of the LMC Birmingham Office once again, his new project will see him undertake a Northern Area Business Development (NABD) role for the professional audio sales company. 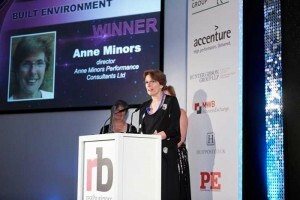 UK - From a long list of hundreds to a shortlist of five, including women at the top of their game in architecture, planning, construction and contracting, Anne Minors was awarded the 2014 First Women Award for The Built Environment for her success in four continents and her pioneering of theatre consulting in Kazakhstan and Turkey. Austria - Every summer, the Theater im Hof, in Enns, Upper Austria, produces a classical production, such as Faust, Cyrano de Bergerac and pieces by Shakespeare. This year, the company will present The Complete Works of William Shakespeare (abridged) by Long, Singer and Winfield, which contains all 38 stage works and 154 sonnets all in one. 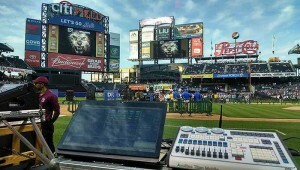 The ambitious show was programmed with the help of ETC Eos software on the new ETC Nomad controller. 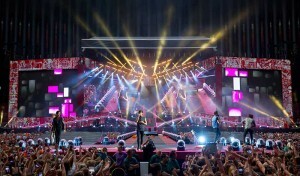 Global phenomenon One Direction embarked on their worldwide 'Where We Are' tour this spring, performing in some of the biggest stadiums around the globe to millions of screaming fans. For shows of this size and scope, go-to lighting designer for the live music industry Paul Normandale needed a mind blowing lighting design to match and so turned to the powerful versatility of the Vari-Lite VL3500 Wash FX luminaires, supplied by Lite Alternative. 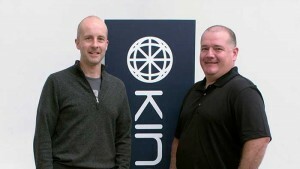 UK motion control specialist Kinesys is opening a new operation - Kinesys USA Inc. headquartered in Atlanta, Georgia and headed up by industry veteran David Martin. 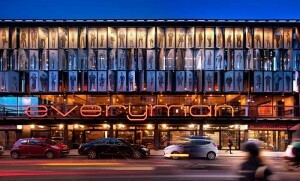 UK – The ArcSystem, BluesSystem and SM Console were the choices of RIBA award-winning Liverpool Everyman, as first GDS full-system theatre goes live. USA - Miranda Lambert is on top of her game by following her record fifth straight Female Vocalist of the Year Academy of Country Music Award with another no-holds-barred, gas pedal to the floor Platinum Tour with lighting provided by Bandit Lites. 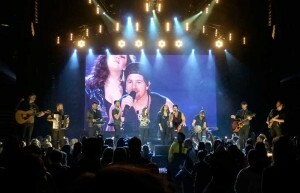 The North American tour kicked off in July with Justin Moore and Thomas Rhett joining the tour on August 8. UK - Respected production technician Andy 'Fraggle' Porter ensured the famous Pyramid Stage at this year's Glastonbury was a dazzling display of bright and frenzied strobe effects by rigging 33 Showline SL NITRO 510 luminaires in an arch array. 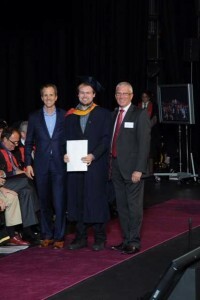 UK - For the 18th year running, July saw Sennheiser attend the Liverpool Institute of Performing Arts (LIPA) annual graduation ceremony, to reward students for their outstanding performance in initiatives that the company sponsors. 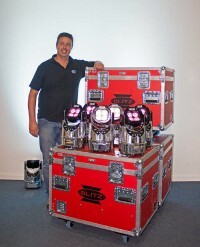 Italy - Clay Paky, the Italian manufacturer that for decades has been one of the world’s leaders in show and entertainment lighting, is getting ready for a new phase in its history. 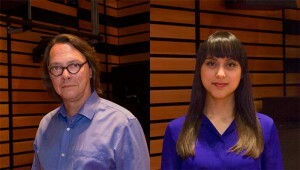 Canada – ‘Be Smart, Be Creative’. 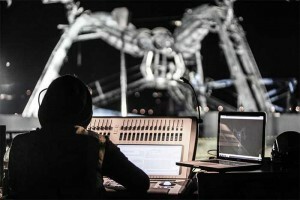 Lighting Designers can enter their own unique Imagination into the wysiwyg Lighting Design Video Challenge by CAST Software! - a challenge open to all current wysiwyg R33 users and Members and to those who become so before the deadline of 26 September 2014. Australia - Thanks to DPA’s d:facto Vocal Microphone, vocal deliveries for the live broadcast of Australia's The Voice were significantly improved, ensuring an even more enjoyable experience for TV viewers. 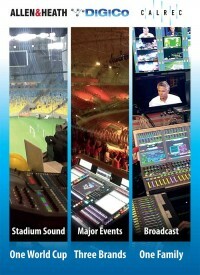 UK - At PLASA London 2014 in October, Harting is featuring its RFID (Radio Frequency Identification) systems for asset management in the theatre and touring environment, along with rugged connectivity solutions for audio-visual multimedia events. 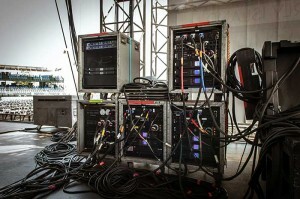 BSR E1.47 - 201x, Recommended Guidelines for Entertainment Rigging System Inspections,offers guidance on inspecting entertainment rigging systems, which are systems used to lift and support scenery, luminaires, and other equipment overhead in entertainment venues, such as theatres, video/film studios, amphitheatres, and arenas used for live performances or special events. The documentation will be available, and comments will be accepted, through the end of the day on 6 October 2014. Visit http://tsp.plasa.org/tsp/documents/public_review_docs.php to download the draft standard, the public review form, and a one-page instruction sheet on submitting the form. USA -- Four bands synonymous with 1990s alternative rock - Everclear, Soul Asylum, Eve 6 and Spacehog - hit the road this summer on a tour dubbed "Summerland" with some of the most memorable throwback tunes of the decade including "Father of Mine", "Runaway Train", "Inside Out" and "In the Meantime", respectively, lit creatively by Richard Ehmcke, better known to the lighting world as "Shaggy." 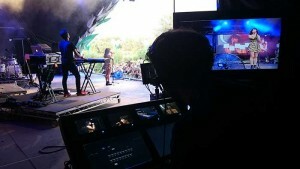 UK - Avolites and Avolites Media continued their strong association with Glastonbury Festival with an impressive array of equipment and an eager team out in force to support friends and colleagues alike. This year's festival was an eclectic and awe-inspiring celebration of music and the arts, playing host to some of the biggest names in music across its multiple iconic stages. Hong Kong - A substantial deployment of Symetrix processors is helping to deliver flexible and reliable audio in the clubhouse area of V City, New Territories West, Hong Kong. 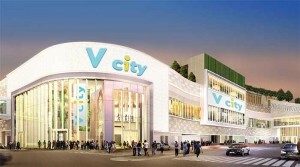 Since opening its doors in 2011, V City has become one of Asia’s most acclaimed and well-visited retail complexes thanks to its energetic feel and diverse selection of brands. Italy - Vasco was back this summer, 2014, with seven sell-out concerts at stadiums. The tour consisted of three dates at the Stadio Olimpico in Rome and four at the Stadio Giuseppe Meazza in Milan. Vasco became the first artist ever to do three consecutive nights at the Stadio Olimpico, and set a new record total number of twenty-one performances at the Stadio Giuseppe Meazza. UK - The Technical Theatre Awards, which celebrate the outstanding achievements of people working behind the scenes, have announced that this year's awards ceremony will take place on Tuesday 7 October at 5pm on The Theatres Trust Stage (R40) at PLASA London. UK - Penn Elcom, the world’s leading manufacturer of quality flight case hardware, speaker cabinet hardware and 19-inch racking solutions, alongside sibling brands, Pro Audio Stash and CLD Distribution, has signed a partnership with industry charity Entertainment Workshops (EW). To build on the growing demand for Constellation acoustic systems, Meyer Sound has bolstered its team with the appointment of Mac Johnson to Constellation program manager and Melody Parker to associate acoustic engineer. 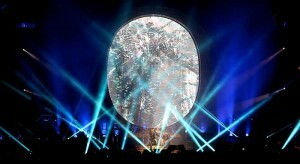 Worldwide – When it came to creating a high impact floor package for one of the most important rock bands of all time, Queen, industry renowned lighting designer Rob Sinclair turned to the high output beam of the Clay Paky Sharpy. France - With over 10 million record sales, iconic French rock band Indochine have completed their Black City Tour with two mammoth consecutive shows at Stade de France. With a rigorous touring schedule, this complex production relied on the simple combination of Adamson, Lab.gruppen and Lake. 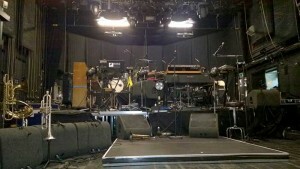 The Netherlands – Front of House engineer Sjoerd Terpstra used a selection of DPA microphones to capture the unique sound of the Kyteman Orchestra when they played six concerts at the Utrecht Tivoli in Holland recently. 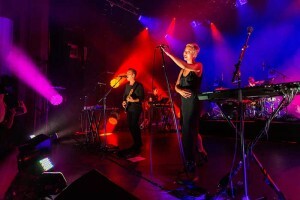 UK – When New Zealand band The Naked and Famous were set to play their first major UK headline showcase at Shepherds Bush Empire, Stage Techniques’ Liam Griffiths, their LD for the past three years, wanted to lay on a treat. 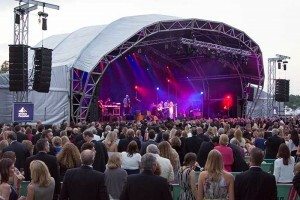 The 32nd Henley Festival proved to be a logistical triumph for the event’s long term PA contractors, RG Jones Sound Engineering, and a sonic one for the Martin Audio system they were deploying for the first time at the event: the MLA Compact. UK – As we look forward to the seventh Knight of Illumination Awards (KOI), this year to be held at East London's Troxy on the 5th of October, KOI reports a fantastic level of nominations in both the Concert Touring and Events and the Television categories. 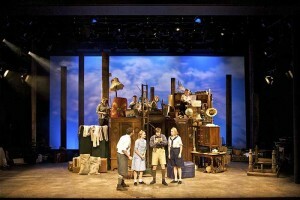 UK - For their recent production of Swallows and Amazons, Theatre by the Lake sought to trial a new energy-efficient solution for cyclorama lighting. Lighting designer and technical manager Andrew J Lindsay turned to entertainment lighting specialist White Light for options and advice. UK - Proving last year that London’s controversial Hyde Park festival site could be uniquely protected from noise leakage into the surrounding neighbourhood by deploying Martin Audio’s award-winning MLA technology, promoters AEG Live adopted a similar solution for this year’s Barclaycard presents British Summer Time Hyde Park festival – but with significant enhancements. 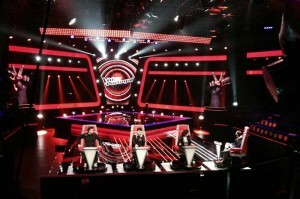 Portugal – Among the things that have made The Voice such a runaway international hit is that every country seems to find its own unique way of enhancing the show, adding a local feeling to what has become a global phenomenon. 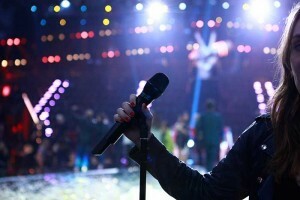 This is very evident looking at A Voz de Portugal, the Portuguese version of The Voice. 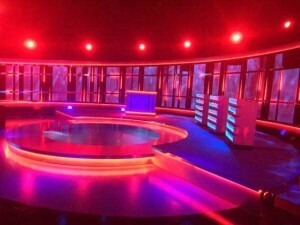 In 2011, it introduced a rule change that allowed viewers to vote back losers of battle rounds for live shows. 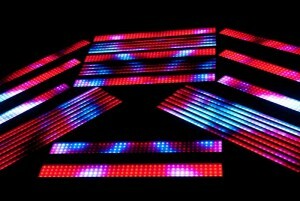 This year the Lisbon-based show raised its game again, by taking pixel mapping on its set to a new level with the Nexus 4 x4 LED panel from Chauvet Professional. UK - Allen & Heath has introduced the Xone:K1 to extend the MIDI controller range of its elite Xone DJ line, joining the successful Xone:K2 controller. The K1 has a flexible layout allowing users to define and customise an individual workflow and mixing experience, and works with all leading DJ software. 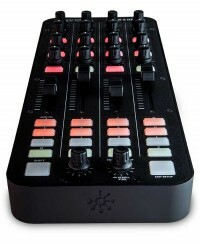 The Xone:K1 is easily configurable to allow fast access for setting levels, triggering hot cues, adding effects and instant looping to relieve the DJ from focusing on the computer screen. Germany - coolux will present their new Pandoras Box Software Version 5.7 at this year’s IBC exhibition in Amsterdam, in addition to showing a variety of hardware products, including the Pandoras Box Broadcast Server systems. Italy - Spectacular environments, exclusive productions and international artists: these are the elements that make the Tones on the Stones Festival an unparallelled project, unlike any other in the world. The Festival's goal and challenge is to enhance the aesthetic and historic values of the Palissandro Marmi quarry (Gruppo Tosco Marmi) in Crevoladossola (Verbano-Cusio-Ossola). 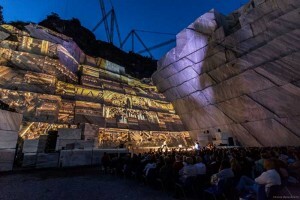 The setting that the impressive "gash in the mountain" provides for the show is huge and striking: it transforms the quarries into a fascinating, unique, enormous stage. 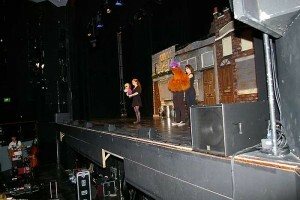 UK - When Martin Audio rental stockist, dBS Solutions, was tasked by production company, Sell a Door Theatre Company, to design a sound system that would take the touring version of the long-running West End show Avenue Q across the UK, the company’s MD Chris Bogg was faced with his stiffest challenge in the company’s nine year history. Denmark - Elation Professional EU has announced the hiring of Allan Bagger (pictured) as the company’s new sales representative for Denmark. 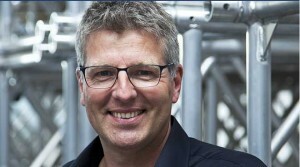 As one of the founders of Music Group Denmark, a supplier of lighting and sound equipment that he helped build up since 2011, Allan comes to the new position at Elation with extensive experience and knowledge of the Danish lighting market. 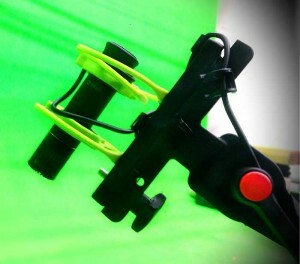 USA - With DPA Microphones’ latest appearances on Tosh.0, an improv-style show on the U.S. network Comedy Central that is primarily focused on poking fun at web-based video content, the brand continues to solidify itself as the top miking solution for the film and television industry. USA - San Antonio’s new Tobin Center for the Performing Arts will open in September with a complement of grandMA2 consoles dedicated to both the H-E-B Performance Hall and the Carlos Alvarez Studio Theater. USA - ETC has acquired the Vortek rigging division of Daktronics in a move which will see all Vortek rigging products will be integrated into ETC’s rigging portfolio. Operations will be consolidated with ETC’s primary manufacturing locations in Wisconsin by the end of the year. 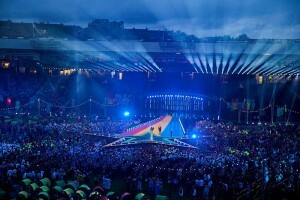 UK - Over 500 Robe moving lights were right at the heart of the stunning Opening Ceremony lightshow designed by Tim Routledge for the 2014 Commonwealth Games at Celtic Park stadium in Glasgow. 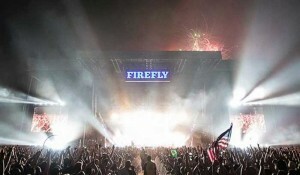 USA - In a scene ripped straight from a fairy tale or science fiction novel, 30,000 music fans found themselves streaming through Sherwood Forest (Rothbury, Michigan) while psychedelic lights guided their way to the Electric Forest Festival, only to have their travels rewarded with amazing musical performances and incredible lighting. UK - On July 19, five days before the Opening Ceremony of the 20th Commonwealth Games in Glasgow, the BBC hosted Live At Edinburgh Castle, starring a diverse bill of top acts from the worlds of pop, comedy and opera, including Motown legend Smokey Robinson, Kaiser Chiefs, One Republic, Paloma Faith, Il Divo, Bill Bailey, Katherine Jenkins, Alfie Boe, Rizzle Kicks, the reunited Culture Club and John Miles, whose timeless anthem ‘Music’ brought the event to a majestic close, fireworks and all. 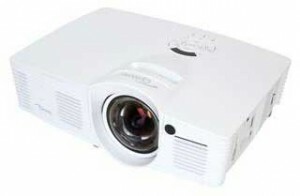 Schools, colleges and universities can now get a super-size high resolution picture with the new Optoma EH200ST-EDU projector, just launched. As part of Optoma’s Education and Public Sector Range in the UK, it comes with a three year *De-Re warranty for the projector and a three year lamp warranty, to give that extra peace of mind. 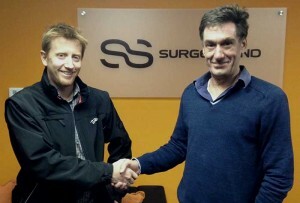 Powersoft has appointed Surgesound as its new distributor in South Africa. 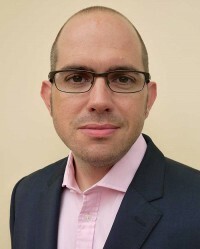 The announcement was made by Steve Smith, Powersoft regional sales manager (EMEA) and Andrew Rowan, Surgesound managing director, who confirmed that the new agreement took effect from August 1. 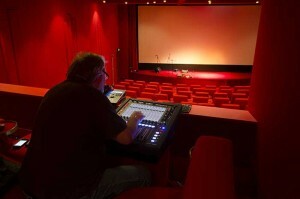 UK - HHB Communications Ltd. has supplied Olympic Cinema in west London with a DiGiCo SD11 digital mixing console for its live concert series. 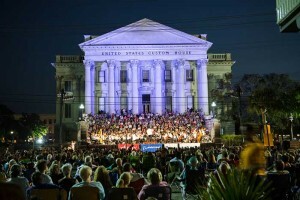 USA - Production Design Associates lit up the Piccolo Spoleto Festival’s kick-off event in Charleston, South Carolina, with Robe’s ROBIN 300 LEDWash fixtures. 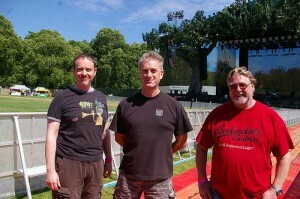 Hungary - The summer festival season means that Capital Sound is off on its travels again, but not just around the UK. 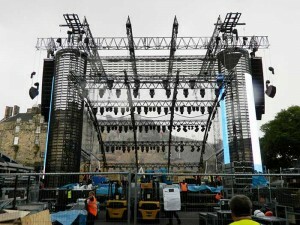 A large Martin Audio rig has been despatched to Hungary, where two festivals are benefiting from Capital service. 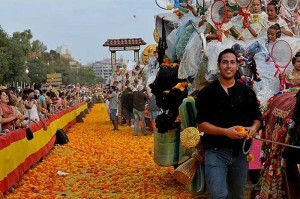 Spain - The Battle of the Flowers is the event which brings Valencia’s July Fair to an end, a celebration that has been organised since 1871 and which consist of a month of events and activities focused on exhibitions of typical products, music events and concerts. Belgium - Tomorrowland is a renowned electronic music festival held in Belgium and this year’s event, which took place in the town of Boom, marked its tenth anniversary. 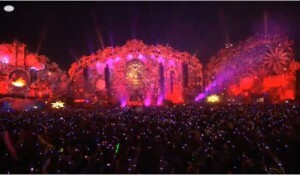 Now recognised as one of the most notable global music festivals, Tomorrowland was held over two weekends in July, with MTV promising a two hour long feature and a documentary surrounding the event’s anniversary. 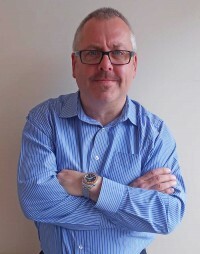 UK - After working together for several years, Hall Stage has announced that Steve Shortt (pictured) is joining the business as head of design. UK - Lighting specialist White Light reports that more than 1,000 CORE Lighting ColourPoint units have been sold since the product’s initial launch. The company has experienced increased demand in recent months as production companies look for flexible lighting alternatives for events. South Africa - TC Group has announced the appointment of TID as the exclusive distributor of Tannoy, Lab.gruppen and Lake products in South Africa. Russia - Some classic looks never go out of style. Tungsten lighting is one of them. 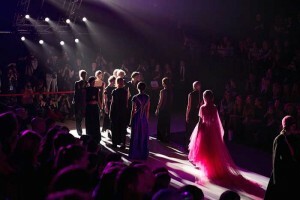 That’s why Art-Festival, a special events company in Russia, chose to use 180 ETC Source Four fixtures with attached Source Four Dimmers on a recent series of high end fashion shows in St Petersburg. 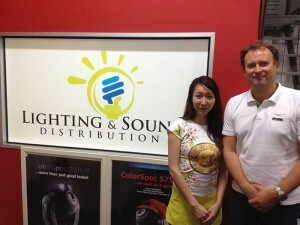 Singapore - Robe Lighting has announced Lighting & Sound Distribution (LSD) as its exclusive distributor in Singapore. This is part of Robe’s medium term expansion strategy in the region and follows the launch of a new Asia Pacific office - also in Singapore - in January this year, which was set up in response to the brand’s growing business. 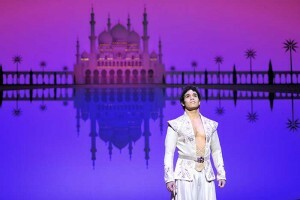 USA - Following a successful six-week tryout at Toronto’s Ed Mirvish Theatre, Disney’s Aladdin opened on Broadway with the magic delivered in this enchanting stage production by fantastic costumes, wonderful effects and sophisticated source-oriented sound design, managed and spatialised by Out Board’s revolutionary TiMax2 SoundHub audio showcontrol system. UK - Lifting equipment specialists Hoist UK are continuing with their structured growth, this time expanding the engineering and installation side of the business, and Geoff Cromwell (pictured) joins them as their new lifting equipment engineer. Geoff brings with him over 40 years of experience within the lifting equipment industry, having being previously employed with Aabacas Cranes, Fellow Stringer, Pfaff Silberblau / PCM and most recently with LTM. 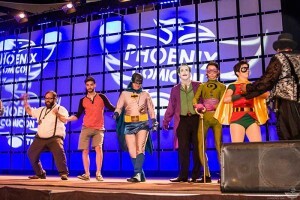 USA - Superhero and comic book lovers of all sorts met June 5-8 at Phoenix Comicon, a comic book and multigenre entertainment convention held annually in Phoenix, Arizona. Event production company Endless Entertainment used a bevy of Elation equipment to light the general session room, hotel ballrooms and other rooms for parties, interactive events, contests and after-hours events. 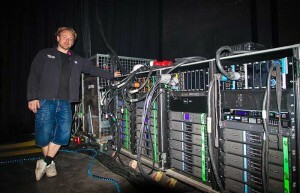 UK - The DiGiCo team has spent the last 18 months consulting with Electra Partners about the possible combination of both Allen & Heath and Calrec with the DiGiCo family. 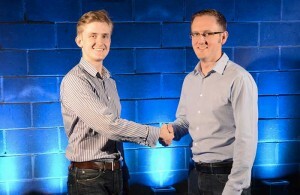 The culmination of this brings together three British console companies to create a new professional audio group, while retaining their unique skills, customer relationships and the identities of each brand. UK - Marketing manager of Harlequin Floors, Caroline Reilly is heading to the Royal Ballet School in Covent Garden for the International Dance Teacher Conference, founded by Anne Walker MBE, CEO of International Dance Supplies, this week. Harlequin is one of the sponsoring companies of the four-day event, starting August 4, which has lined up an impressive list of teachers for a busy programme of events. 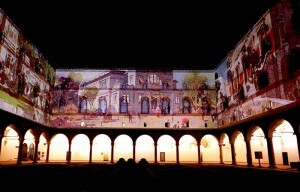 Italy – From June 20-22, the Sforza Castle in Milan was transformed into a stage for a magical journey of lights and music that took the audience back in time from the Milan of today to 1906, during the Belle Époque, when the world exposition was first held in the city. "The project not only enhanced the Sforza Castle and its precious art collections, but it also linked the monument with Expo 2015," said Milan City Councillor for Culture, Filippo Del Corno. 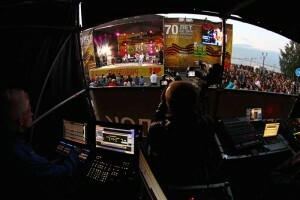 USA – The Summer Concert Series has launched on NBC’s The Today Show and Clay Paky’s A.leda B-EYE K20 LED-based moving lights are being deployed on the live music segments, which air at least once a week on the iconic morning show. 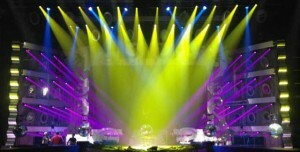 USA – One-hundred-and-forty Robe Pointes were at the core of the production lighting design for the 2014 Essence Festival in New Orleans, which was created by Matt Foucheux of Solomon Group, production designers and equipment suppliers for the Main Stage in the Mercedes-Benz Superdome. 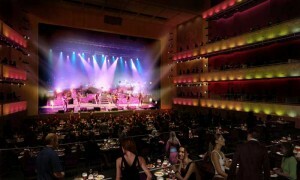 Musical acts included Prince, Erykah Badu, Mary J. Blige and Jill Scott. USA – Production Resource Group LLC has announced that Jeremiah J Harris, chairman and CEO, has promoted Stephan Paridaen (pictured) to the role of president and chief operating officer. Paridaen has served as PRG’s chief executive officer for Europe, Middle East and Africa since 2009. USA – When two of music’s most iconic bands prepared to embark on their 38-city North American co-headlining tour, the design teams behind Journey and Steve Miller Band had to find the best way to support the unique style of each group. 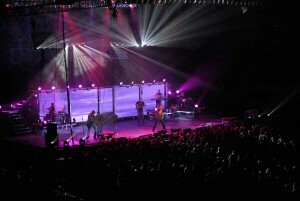 With the challenge of sharing the same rig, lighting designer Kevin “Deuce” Christopher had to decide which automated luminaires would provide the most flexibility as the main lighting instruments for both show designs. 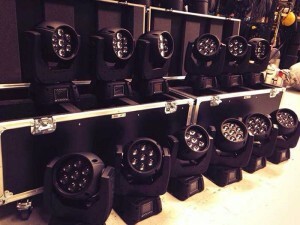 Working with Tour Tech East, he chose 38 VL3500 Wash and 25 VL3000 Spot luminaires from Philips Vari-Lite to be the lighting backbone for the complete tour. 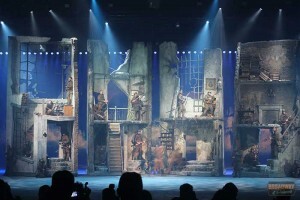 Belgium – Amongst the myriad of events across Europe this year commemorating the Great War centennial, few can be more epic and ambitious than 14-18 Spektakel Musical staged in the vast Nekkerhal venue in Mechelen, Belgium. 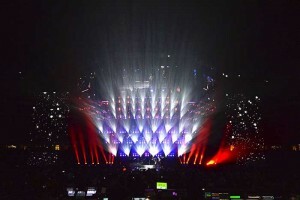 Belarus – Clay Paky’s unique multi-zone A.leda B-EYE was the ‘star of the show’ at the recent Belarusian TV Awards beaming complex aerial effects as part of a lighting design by Kirell Zelenko. UK – As the sun set over Sonisphere festival 2014's opening day, 90's big beat pioneers The Prodigy walked on stage to sirens, screams and the bright blasting lights of 165 Showline SL NITRO 510 and 510C LED strobes, specified by the group's longstanding lighting designer and creative director of HSL Andy Hurst. UK - The 4HM MADI-MON and ASBO were deployed right through this summer’s comprehensive BBC coverage of the internationally recognised Glastonbury festival. 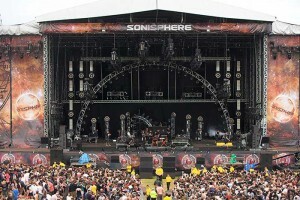 Held over three days and featuring artists as diverse as Dolly Parton, Kasabian and Metallica, the BBC provided comprehensive coverage of the festival across multiple media platforms. 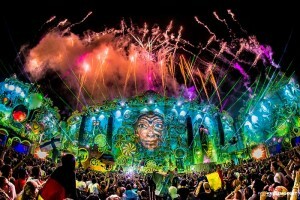 A virtual plethora of Elation Professional lighting and video gear was used this year to light up Electric Daisy Carnival (EDC) in Las Vegas, North America’s largest dance music festival. 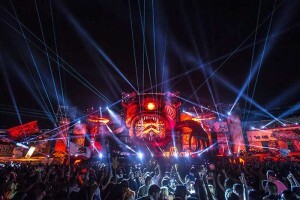 Produced by Insomniac Events and held the weekend of June 20–22 at the Las Vegas Motor Speedway, more than 400,000 attendees danced and raved their way to the latest EDM beats in front of eight stages, seven of which featured Elation products.